These blushes are quite pigmented, less is certainly more. I use the Multi Task brush or a duofibre brush to apply this blush. Like many Hourglass products these blushes are long-wearing as well. I wore this to a concert yesterday and the colour was still noticeable when I checked it in a mirror six or seven hours after it had been applied. It's safe to say I'm smitten with the newest additions to the Ambient Lighting range. These blushes have lived up to their expectations. Fingers crossed they release another palette with some of these colours inside this year. If you're looking at these in store, try them on rather than swatching them on your hands. The colours look different on everyone so it's worth applying them to see how they'll look first. 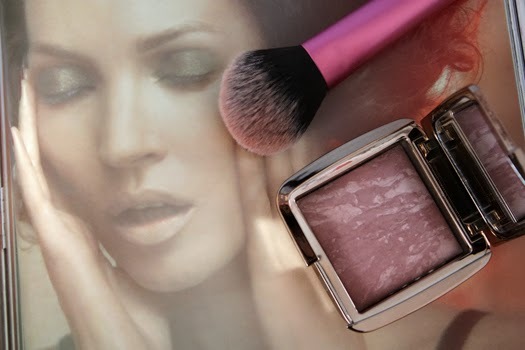 *Have you tried the new Hourglass Ambient Lighting blushes? Which is your favourite? These blushes are gorgeous! Need to get one of these in my life! There have been so many gorgeous blush releases in the past year or so. I can't handle it! Glad these are permanent.